1. The Hellenic Religion will be recognized as the official religion of the state. Theological colleges will be established for the training of Hellenic Priests and Priestesses. The teaching of the Hellenic Religion will be introduced at all levels of education. All of the Temples of the Paternal Gods and Maternal Goddesses will be erected once more. 2. National Independence will be announced in the political, legislative, economic, cultural, and diplomatic fields. The Revolution will annul all of the contracts and foreign decrees which encroach the Liberty of the Nation. 3. The immediate exit of Hellas from the eurozone and the European Union will render Hellas economically independent. This will be accompanied by the activation of the prerogative for the issuance of money and the adoption of the drachma. 4. The institutionalization of endogamy will quell the scourge of miscegenation. Strict laws will be imposed against abortions. The compulsory demographic growth of the Hellenic population will constitute a revolutionary priority associated with the concept of National Security. The incorporation of eugenics in family planning programs will contribute to the immediate improvement of the overall health of the Hellenic People. 5. The Hellenic private initiative will constitute the driving force of the mass industrialization of the country. The eradication of taxation, deemed as extreme anti-social conduct, will constitute the ultimate social objective. The reduction of the state sector will liberate the productive forces of the Nation. Tariffs will be imposed upon similar foreign products. The Hellenic economy will acquire an orientation that of producer and exporter. It will shift from the consumption of retail goods with loaned money to the investment in capital goods. 6. Economic patriotism will dominate in all commercial transactions. The economic staff of the state will enforce the employment of Hellenic workers and the pure promotion of Hellenic products. The exclusion of Hellenic workers and the discrimination against Hellenic products will be punished severely. 7. The ancient Hellenic language will be taught in its original from an elementary school age. The vulgar demotic language will be abolished. 8. The ideological defeat of multiculturalism, Islam, Christianity, and neoliberalism, will be a key task of the Hellenic ideological army, that will be established immediately on a professional basis. Anti-national internationalism, in all of its forms, will be combated. The ideological nucleus of the ideological army will be established by the Hellenic Religion, the Hellenic Race, the Hellenic Nation, and the Hellenic Civilization. 9. A cultural police force will be organized which will penalize unsparingly crimes which affront the cultural boundaries of the Hellenic Nation. Illustratively, and not restrictively, the cultural police force will pursue those who affront the costume, the language, the nomenclature, the religion, the history, the art, the aesthetics, and the morality of the Hellenes. 10. The system of government will promote meritocracy, whereas mediocracy will be crushed. Aristocracy will triumph over cronyism. 11. The mass and immediate deportation of invaders will be achieved by the participation of the Hellenes en masse. Any kind of contact or commercial cooperation with the invaders will be prohibited. All of the revolutionary means will be utilized to crush those who cooperate with the invaders in political, economic and cultural levels. 12. Hellas will remove the guardianship of the Organization for Economic Co-operation and Development and the World Trade Organization. For the growth of Hellenic commerce with foreign states, bilateral trade agreements will be signed on the basis of reciprocity. 13. The doctrine of National Security will be implemented in a global scope. The Hellenic armed forces will be able to intervene in any part of the world deemed necessary for Hellenic interests. 14. The right to carry weapons, to possess weapons and to use weapons will be recognized for all law-abiding Hellenes. The organization of the Hellenic Militia will ensure order and security. It will constitute the military vanguard of the Revolution. 15. The anti-social and monopolistic state insurance will be abolished. The Hellenic workers will have the right to choose their own insurance carrier. Insurance will be optional. 16. The state will provide an operating license to Hellenic private universities. All of the Hellenic private educational facilities will enroll students regardless of their financial situation, as long as they satisfy the admission criteria. Those Hellenes who are unable to pay tuition fees will receive scholarships covering all costs. 17. The protection of the environment, the animals and the plants will become a way of life for the Hellenes. Nature is living and sacred. 18. Hellenic Justice will become independent from political party intervention. The policy against crime will be based on the doctrine of precautionary collective security. 19. The first task of the Revolutionary government will be the revision of history. 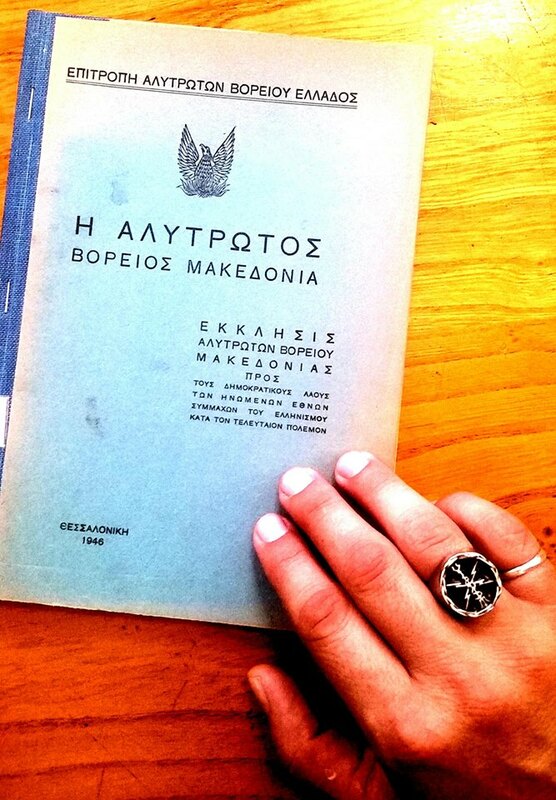 All anti-Hellenic references which affront the patriotic sentiment of the Hellenes will be removed from the school textbooks. 20. 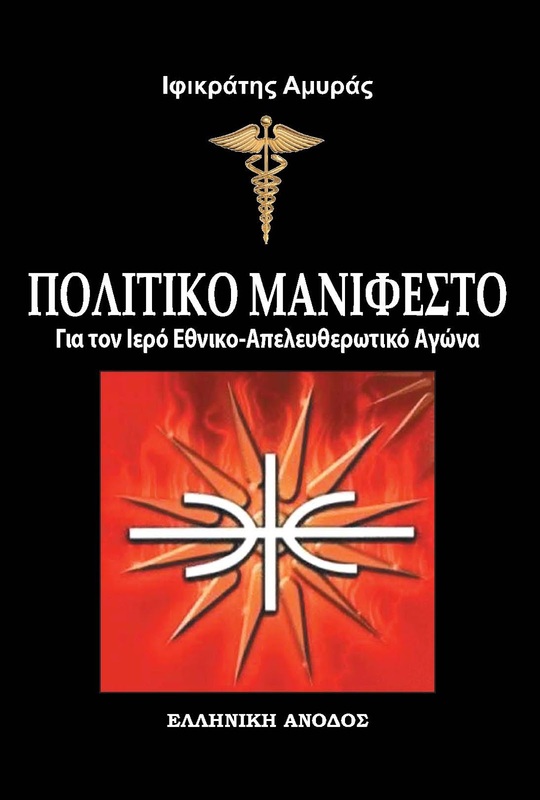 The Hellenic biological and cultural continuity will be the national doctrine of the Hellenic State. A global war will be declared against the assimilation of Hellenes into foreign races and cultures, across all lengths and breadths of the planet. Hellenic differentiation will be stressed in every sector: educational, professional, religious, athletic, artistic, political. 21. The Revolutionary government will integrate holistic medicine in medical schools. The mass, mandatory vaccination of Hellenes will be prohibited. The Hellenic diet will replace antibiotics. The fight against cancer, obesity and heart disease will be based on the precautionary principle. Chemotherapy will be averted. 22. The media will be obligated to display the virtues of the Hellenes. The rubbish of television, which depraves and contaminates the Hellenic soul, will be prohibited. Anti-Hellenic owners and directors of channels will be punished with grave penalties as being responsible for the moral decadence. 23. The Revolutionary Armed Forces will expel those of foreign race and religion from their ranks. 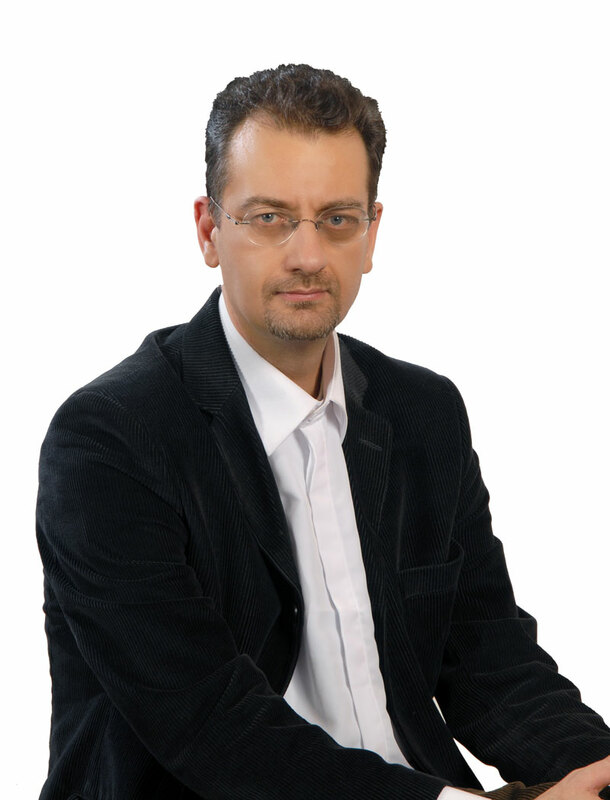 The organization of the Hellenic defense industry will be a priority of the competent Rector for the National Defense. 24. The foreign policy of Hellas will detach itself from Eurocentrism. New alliances will be created with states, cultures, ethnicities and formations, outside of Europe. The Revolutionary government of the Hellenic state will support, by any means, the propagation and prevalence of the Traditional Polytheistic religions throughout all of the world, as a dike in the Christianization and Islamization of humanity.